GSAT-16 is an Indian communications satellite built by the Indian Space Research Organization for operation by Insat to deliver a variety of communications services to the Indian territory. The satellite will replace the INSAT-3E spacecraft that was launched back in 2003, increasing the number of transponders available in the orbital location in the ongoing expansion of India’s space-based communications infrastructure. The GSAT-16 spacecraft is based on ISRO’s I-3K satellite bus built for Geostationary Spacecraft in the 3,000-Kilogram mass range with a total power capability of 6,500 Watts, 4,900W are available to the communications payload. The I-3K bus was first flown in 2005 and supports a payload mass of up to 400 Kilograms, consisting of 24 transponders or more. 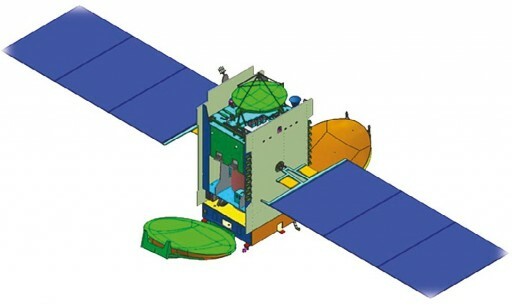 Overall, GSAT-16 has a launch mass of 3,180 Kilograms and is 3.1 by 1.7 by 2.0 meters in size when in its stowed configuration. 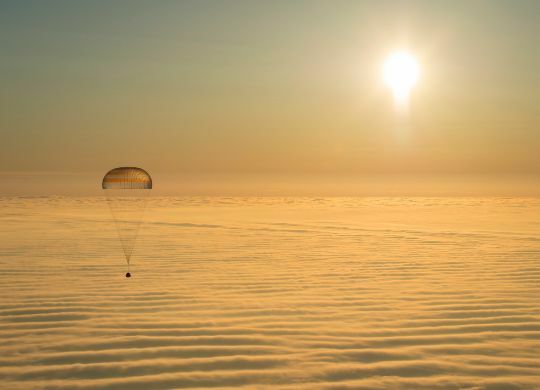 The spacecraft has a dry mass of around 1.4 metric tons. In orbit, the satellite has a span of 15.4 meters when both of its solar arrays, each with three 2.8 by 1.9-meter segments, are opened up. The spacecraft features two 2.4-meter deployable antenna reflectors. GSAT-16 uses the trusted Liquid Apogee Motor delivering 440 Newtons of thrust for apogee-raising maneuvers while 22-Newton thrusters are used for attitude maneuvers and stationkeeping in Geostationary Orbit. Both engine types use hypergolic propellants, MON-3 oxidizer (Nitrogen Tetroxide with 3% Nitric Oxide) and Unsymmetrical Dimethylhydrazine as fuel. Tank pressurization is accomplished by using high-pressure Helium. LAM provides 440 Newtons of thrust which equates to 44.87 Kilograms. The engine operates and an mixture ratio (O/F) of 1.65 and has a nozzle ratio of 160 providing a specific impulse of 3,041N*sec/kg. The engine’s injector is a co-axial swirl element made of titanium while the thrust chamber is constructed of Columbium alloy that is radiatively cooled. Electron welding technique is used to mate the injector to the combustion chamber. GSAT-16 hosts a communications payload sporting a total of 48 transponders that include 24 C-Band transponders, 12 extended C-Band transponders and 12 Ku-Band transponders operating at a bandwidth of 36MHz. Additionally, the satellite carries a single Ku-Beacon transponder. The communications payload will provide telecommunication, television, and VSAT services to the Indian Territory. 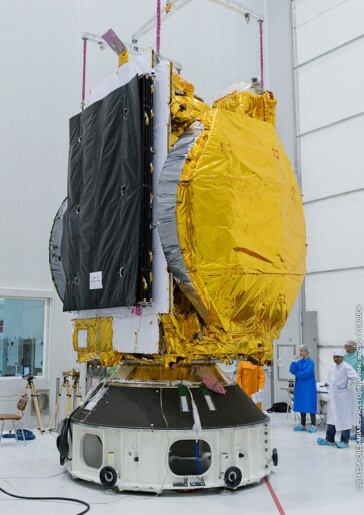 The C-Band payload covers the Indian Main Land, and the islands of Andaman-Nicobar, Lakshadweep, Sri Lanka, and the Maledives while the Ku-Band coverage extends across the Indian Main Land and Andaman-Nicobar. GAST-16 will operate from an orbital position at 55 degrees East in Geostationary Orbit with an operational life of 12 years.